Paolo Gorini (1813-1881) was an Italian mathematician and naturalist, interested in medicine and geology, trying to combine in a quite unusual way his two passions. Gorini worked on methods to conserve corpses, in part for medical purposes, in part for more practical reasons - as he supervised also crematoriums in Italy and in Britain it was sometimes necessary to preserve a body until it could be cremated (in one case, due bureaucratic problems, he had to hold a body for over two years). 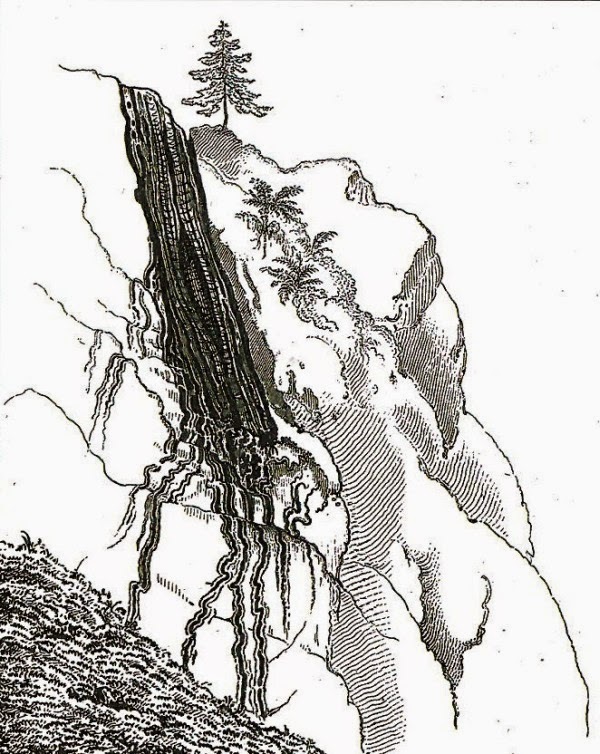 After 1842 Gorini also started to work on a theory to explain the formations of mountains. 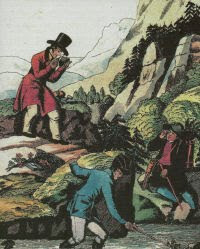 Gorini believed that rocks and mountains were formed from crystallization of a liquid, or molten substance, following James Hutton´s suggestions. Like in an organism, fluids (which he called plutons) would feed the earth from within and over time a mountain would form or “grow”. Gorini had some evidence from the field, like solidified dikes and veins seen in outcrops or hollow conduits, now empty but once filled with molten magma. Fig.2. 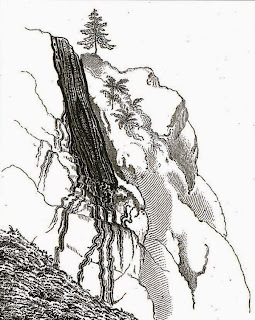 Vein in granite, observed on the Naabranken (a mountain in Bavaria), first depiction of its kind published in 1868 in GÜMBEL, von W.: Geognostische Beschreibung des Königreichs Bayern: II. Abt. Ostbayerisches Grenzgebirge. 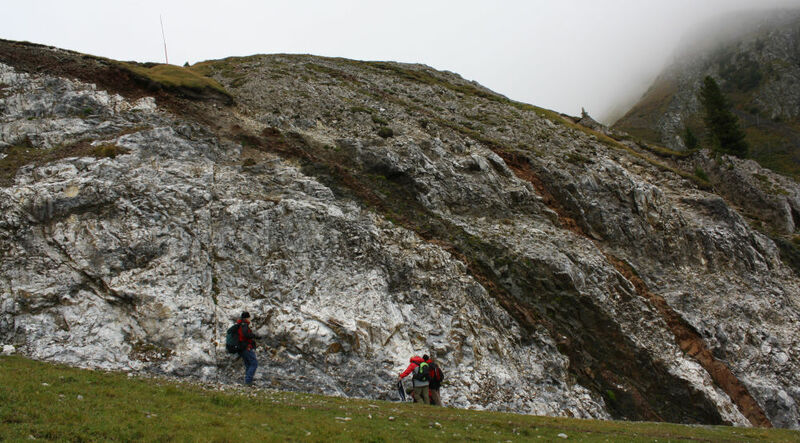 Such veins form when fluids crystallize, so Gorini was right that some minerals and rocks form in such a way and his theory may also explain (in part) volcanoes, but it can´t explain entire mountain ranges, formed by tectonic deformation of earth´s crust over time. He designed also some experiments to support his explanations. In public shows he heated liquids until forming bubbles "quite similar to the real ones [volcanoes]”. Gorini hoped that his experiments would prove useful in time. In 1865 Mount Etna erupted, causing death and devastation, and Gorini criticized that people rely on superstition, offering flowers and prayers to the volcano, instead of science, trying to understand the mechanics behind volcanic eruptions and so may avoid or even prevent them. He published his theory in 1851 in the book "Sull´Origine delle Montagne e dei Vulcani - Studio Sperimentale" (On the Origin of Mountains and Volcanoes - An Experimental Approach), followed by a series on papers over the years. Fig.3. 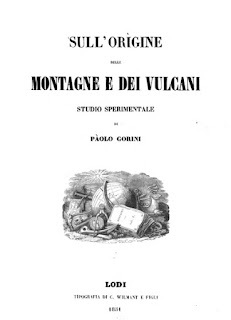 Gorini’s first work (1851) concerning mountains and volcanoes. Despite his success with the public, the “experimental approach” shows were quite popular, his scientific publications were meet with skepticism. Some scholars considered his “experimental geology” an important contribution to better understand volcanoes, other considered Gorini a respectable anatomist, but just a “geological showman”. In 1872 Gorini tried to model volcanoes using molten magma. Seeing how insect burst into flames when coming into contact with the incandescent material, he also tried to cremate human corpses, or at least parts, with this artificial lava. However it was difficult to melt and handle enough material to burn an entire human - also lava doesn´t quite work the way as depicted in movies - and Gorini soon abandoned these experiments. Fig.4. 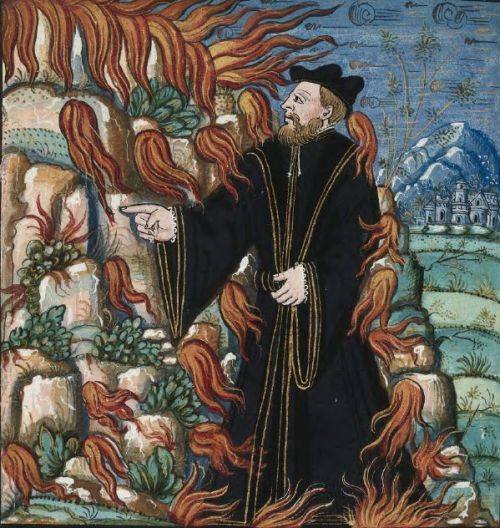 The dramatic death of Pliny the Elder consumed by fire during the eruption of Vesuvius in 79 AD, from "Histoires prodigieuse" (1560). Contrary to the common myth, the most lethal effects of a volcano are not lava flows and disposing of a corpse in it is quite difficult. Curious side note - there is also no documented case in history where humans were sacrificed in a volcano or volcanoes used to cremate corpses. 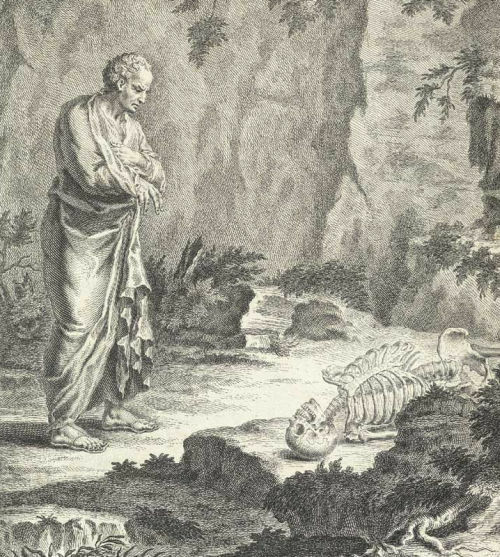 Gorini continued his career as respected anatomist and mummification-specialist, however his geological contributions were soon forgotten – a shame, as if even many of his conclusions are wrong (one must also consider the limit knowledge of volcanoes at the time), his ideas and especially his rational approach, using experiments to explain observations in the field, are nevertheless timeless.